On March 12th 1987 Sergeant Mrs Julie Timms was on duty alone at the second fence at Stratford-upon-Avon racecourse at the at the start of the Novice Handicap chase. There were three circuits of the course and on the first circuit there was a faller at fence number two. Mrs Timms immediately ran to the jockey, Carroll Gray, who was lying in the middle of the jump; she rapidly assessed that the jockey was seriously injured and radioed for an ambulance. The jump steward put the dise on the fence to protect the patient from the rapidly approaching runners on the second circuit but left only a narrow space for them to jump and on the second circuit three more horses fell. During this time only Mrs Timms stayed with the patient, others present moved to the side of the course, and she protected the jockey from the horses and other falling jockeys. One of the horses actually knocked in to her as she was shielding the patient and there is no doubt that her life was very much at risk. On the third circuit the runners were guided clear of the fence and the race was later declared void. The jockey was found to have fractured cervical vertebra with neural involvement and also a fractured left arm. Mrs Timms stayed with him until he was removed to the local hospital and there is no doubt that her action saved the jockey a life-time of paraplegia. At the time of the institution of this medal in 1874, there was no state or national award available for bravery or lifesaving of civilians on land. In particular, for rescues in mines, quarries, factories and industry in general there was no public or private body to which application for recognition could be made. The Chapter General of the Order of St John identified this gap in the range of awards available, and sought to introduce an appropriate award. The first presentation of the Order’s Life Saving Medal were to two colliers, Elijah Hallam and Frederick Vickers. On the 6th September 1875, at imminent risk of their own lives, they saved six of their fellow workmen, who were suspended in a broken cage half-way down the shaft of a coal pit. Initially awarded in either bronze or silver, dependent on the level of danger encountered in the attempt to save life, in 1907 a gold version was also authorised. In 1963 a bar, to be worn on the ribbon of the medal, was instituted to recognise further acts by the same individual. The front of the medal has a central eight-pointed cross, with unicorn and lion supporters, added to the Order’s emblem following the Royal Charter of 1888 which made the Order one of chivalry. 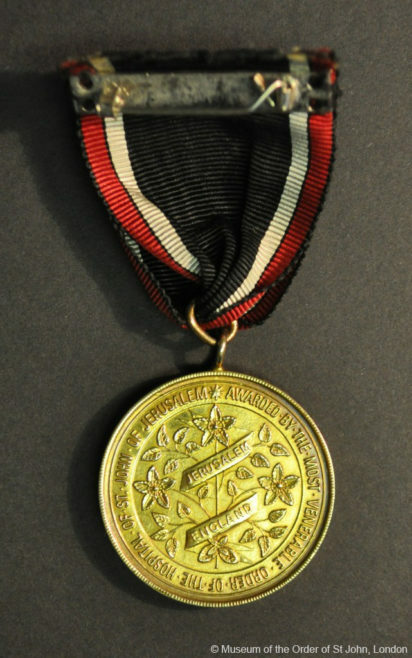 The reverse of the medal features St John’s Wort, a medicinal herb used by the Hospitallers in the Order’s earliest hospitals from the 12th century. The rank (if applicable) and name of the recipient is engraved around the edge of the medal, and the year or full date it was awarded. The appearance of the medal has changed little since its inception, although the ribbon has changed. 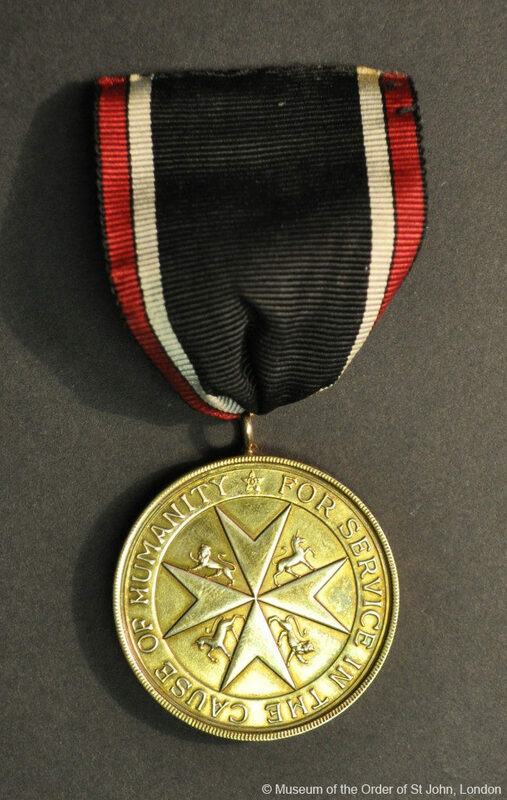 This Life Saving Medal has a ribbon with black centre with white side stripes edged with red, introduced in 1950. Prior to this, the first ribbon had been plain black silk with a white embroidered eight-pointed cross, followed by a plain black watered silk ribbon. 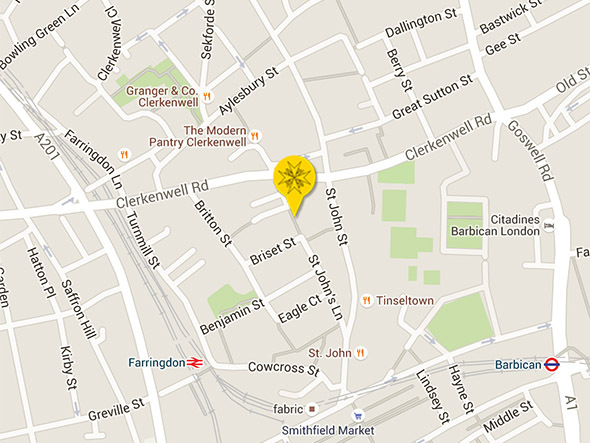 The Museum holds records of most Life Saving Medals awarded to recipients around the world. Extracts from citations about the circumstances of the gallant act can be provided if the name of the recipient, and date of the act or award are known.